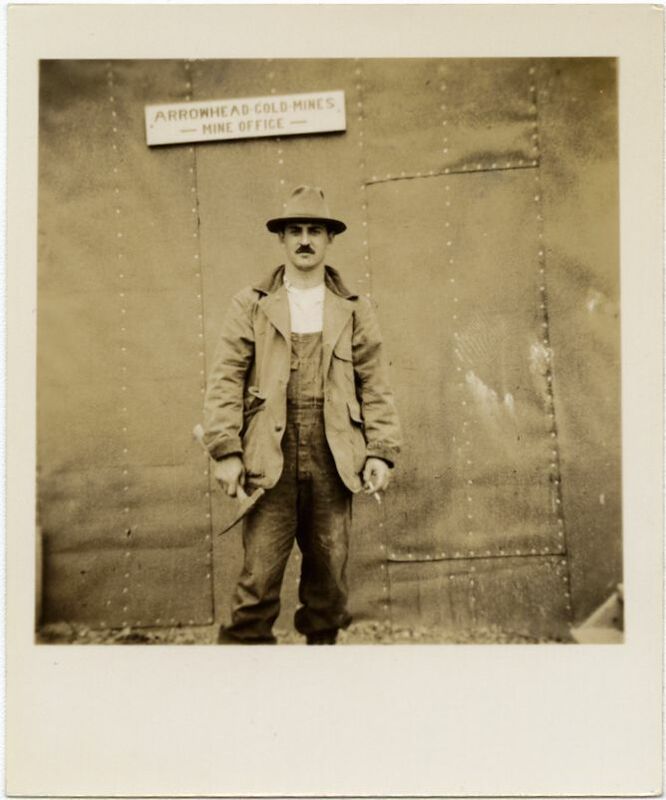 Arnold Hoffman was a geologist, prospector, and New York stockholder who became associated with gold mining in Quebec, Manitoba, British Columbia and the Northwest Territories. 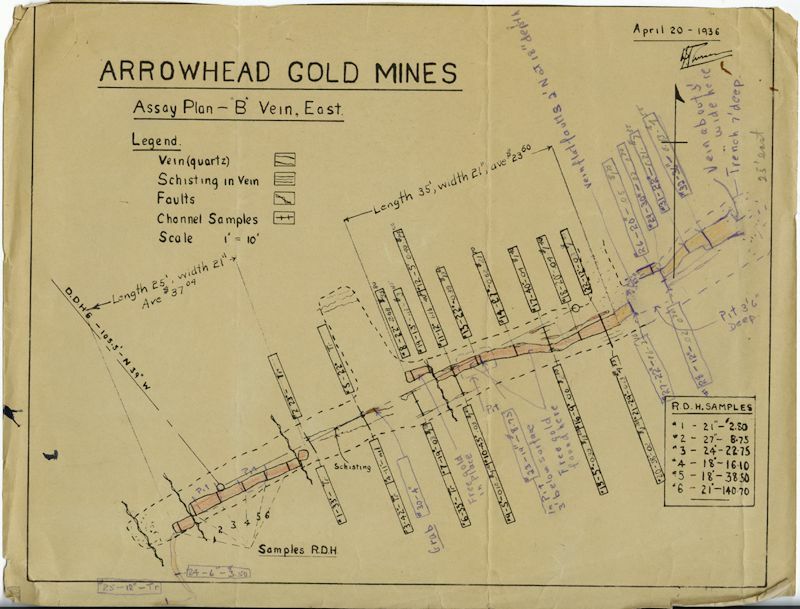 Reports, maps, correspondence, geological studies, and photographs from his fonds provide an opportunity to dig into the history of Canadian gold and natural resource development in the first half of the twentieth century, particularly its development before and after World War II. What did gold mining look like in a time when the entire world was locked in violent struggle? In correspondence with Colonel Thain W. MacDowell, president of a gold mining company of which Hoffman owned shares, Hoffman states that the possible outbreak of war in Europe “should stimulate rather than depress gold production” because “Canada, being far removed from the scene of hostilities, should be the ideal place for accelerated gold developments”. And he was right! While there was a slight negative impact from the war, mines were very productive. 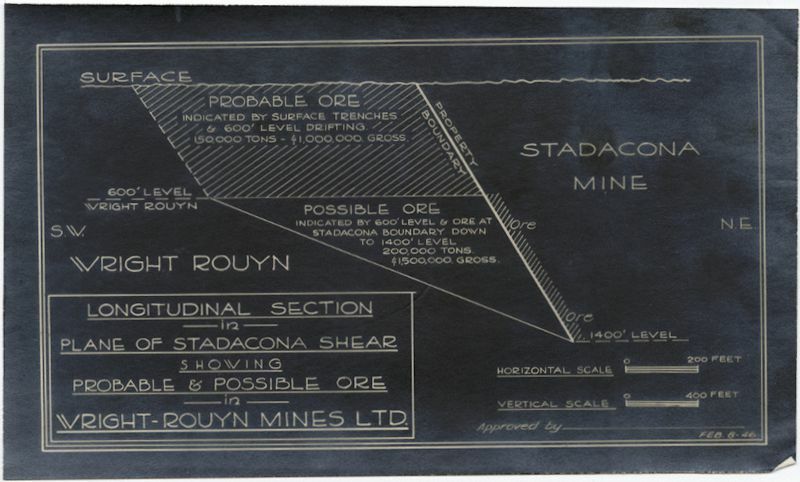 One such example of success is the Thompson-Lundmark Yellowknife mine where $1,765,000 worth of gold was extracted between November 1941 and September 1942. Hoffman’s own transformation from a hard-scrubbed gold prospector to a successful mining executive reflects similar changes in Canadian industry which took place during this time period. The son of a Russian immigrant tailor, Hoffman earned a degree from Harvard University and followed his desire to ‘rough it’ in the Canadian wilderness in the 1920s. In the 1930s, Hoffman continued to capitalise on a growing economy in Northern Canada. He purchased shares in mines across Canada. Purchases included a significant percentage of shares in the Thompson-Lundmark Gold Mines in Yellowknife which his friend and partner F.W. Thompson dubbed “Treasure Island”. In the 1940s and 1950, as the industry escalated and became crowded with mining companies, Hoffman switched to the financial side of the industry and achieved his greatest success as a shareholder and boardroom member of several companies. By the time of his death, Hoffman was the President of three companies: Mesabi Iron Company, Quebec Cobalt and Exploration, Ltd. and the Towne Mines Corporation. Today, Canada is the world’s fifth largest gold producer and gold mining is one of its strongest natural resource industries. Gold production continues at a high rate across Canada, including in many of the areas in which Hoffman operated. Hoffman predicted that one region, Rouyn, Quebec, would become “Canada’s most productive gold area” and that companies there would eventually produce a combined profit of two billion dollars. 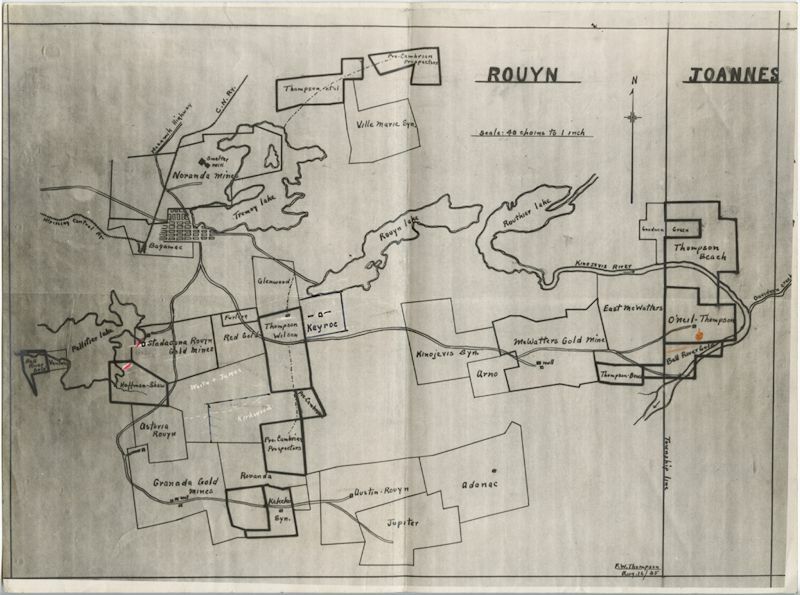 While it’s not the “most productive” region in Canada, gold continues to flow out of Rouyn, even after 70 years. To find more golden nuggets of information, a biographical sketch and file list of the accession is available in the Arnold Hoffman fonds finding aid. York University Library, Clara Thomas Archives & Special Collections, Arnold Hoffman fonds, 2014-021/004(6), letter from Arnold Hoffman to Col. Thain W. MacDowell, April 17, 1939. Arnold Hoffman, Free Gold: the Story of Canadian Mining (New York and Toronto, 1947). 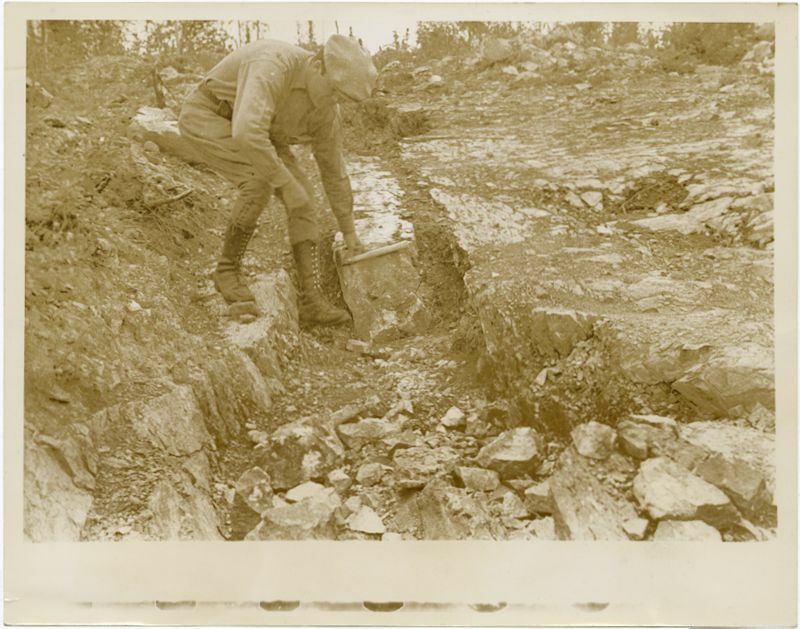 This entry was posted in Archives & Special Collections, News, Personal papers, Recent acquisitions and tagged gold, mining, natural resources. Bookmark the permalink.